Protect entry points to your home by placing these on doors & windows that burglars may use to gain access. You can use a single motion detector or glass break sensor to cover multiple windows. Not sure what’s right for your home? Give us a call and we will make sure you only buy what you need. 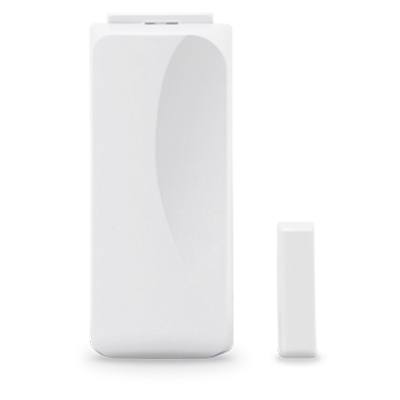 Our entry sensors are designed to be placed on any interior or exterior door or window that opens. We recommend you have 1 entry contact for each exterior door you have that provides direct access to your home (in most cases this is the front & back door). You can also place these on any windows that could be used to access your home for added protection. When your alarm system is DISARMED and a door or window opens, your Base Unit will sound a chime, letting you know one of the entry points of your home has been accessed. Don’t want this feature? Don’t worry you can easily silence these alerts.